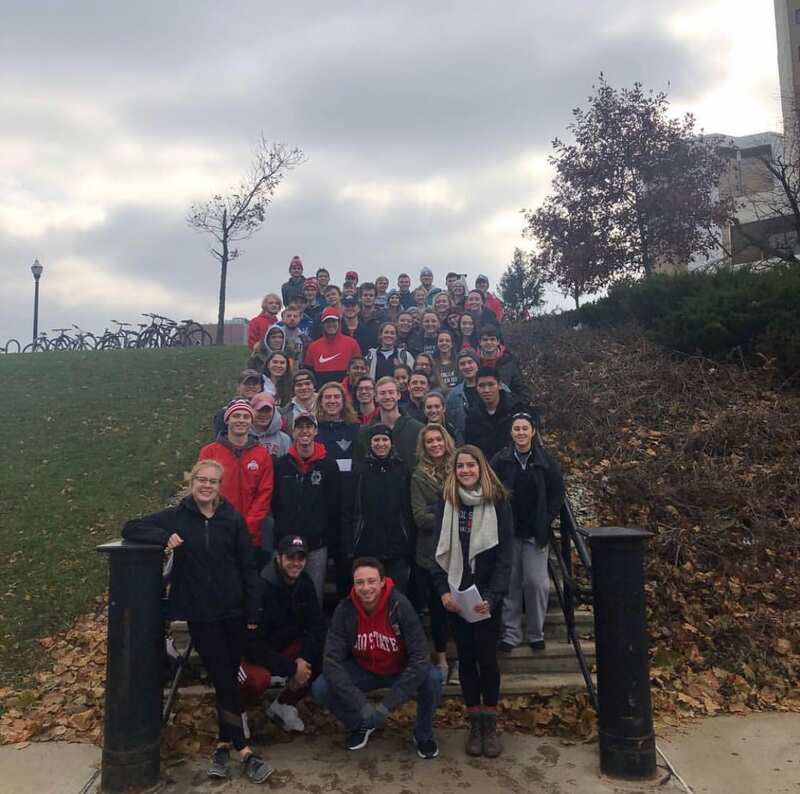 This semester, I participated in the BuckeyeThon 2019 Dance Marathon as a general body member on the Dunn Sport and Wellness Scholars team. I learned about this campus organization through various people in DSWS and through advertising of the club on campus. BuckeyeThon is a club that raises money for children with cancer who are being treated at Nationwide Children’s Hospital. The club requires each participating member to raise $250 in order to be a part of the 24-hour dance marathon. During the marathon, members are encouraged to remain standing for the entirety of their 12-hour shift while also participating in various activities and games with kids and families affected by childhood cancer. 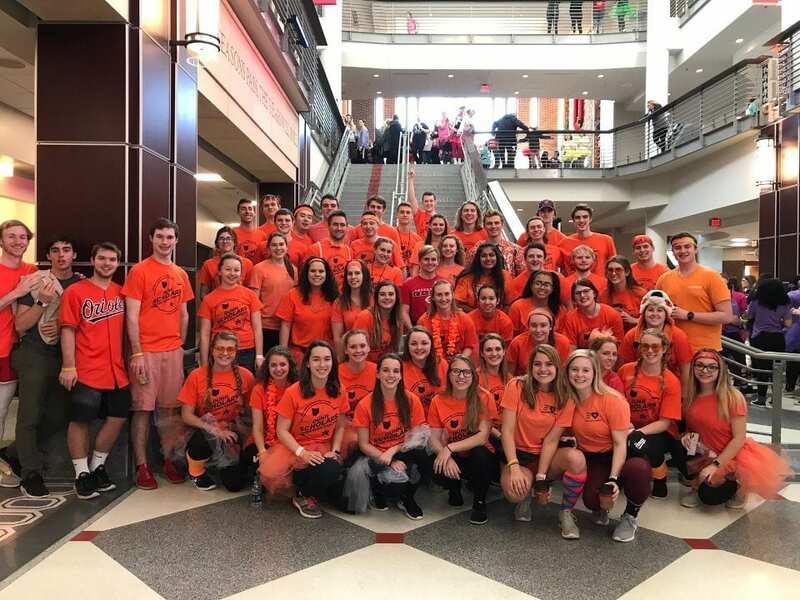 This year, BuckeyeThon raised over $1.5 million for pediatric cancer and the Dunn Sport and Wellness Scholars team alone raised over $34,000. Being involved in a service driven club like this showed me the positive impact people can have on the community and that collectively we are stronger together. It also made me thankful for my health, and it made me realize that my pain and problems are only a minor inconvenience compared to those undergoing treatment. This experience has encouraged me to be a stronger and more positive leader because I am able to put things into perspective and encourage others to persevere through any obstacle. Because of service learning, I am a more well-rounded individual due to the experiences and perspectives I have gained through BuckeyeThon. 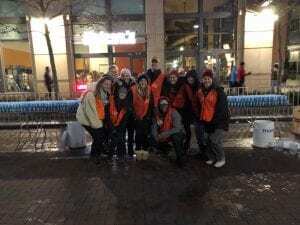 The same weekend I participated in the DSWS Day of Service I also volunteered for 6 hours at the Columbus Hot Chocolate 5k/15k. Here, I helped set up tables, filled and passed out cups with water and Gatorade, and I cheered the runners on once the race began. The race was one of the coolest races I have ever seen because it had different chocolate stands throughout the course and lots of goodies and snacks everywhere. 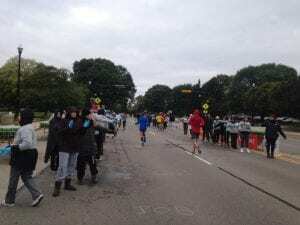 My experience was pretty similar to the Columbus Marathon except I became a pro at using the Cota transit system and I got to explore Columbus. I feel that finding my own transportation to the race forced me to be very independent and resourceful which are good qualities to have in a leader. Because of service learning, I am an expert at setting up and helping out with races and I am more aware of the resources available on campus. This fall, I got to volunteer for the Columbus Marathon at the water station near mile 17. For this event, I got to work with a lot of fellow Dunn Sports and Wellness Scholars so having a friend everywhere I turned made my experience that much better. Before the race started, I helped set up tables, filled and passed out cups with water and Gatorade, and I cheered the runners on once the race began. Although we volunteered for about 5 hours, it was a lot of fun and seeing all the runners inspired me and my suitemates to run the half marathon next year. 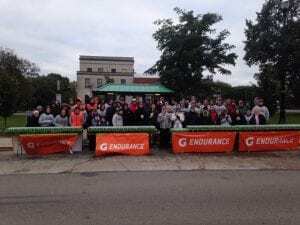 By volunteering, I felt that I was able to give back to the Columbus community and help make the runners experience a bit better by supporting them. A leader must be supportive of their group and teammates and, although I didn’t know any of the runners, I felt I was supporting them by encouraging them to keep going and to finish strong. Because of service learning, I am more aware of how impactful positivity and encouragement is. I think a leader must remain positive in times of distress and keep encouraging members in order to keep the group positive and successful. The true colors test uses a numbering system to rank your personality into four different groups: orange, blue, gold, and green. After taking the test, I was placed in the orange group. This group includes personalities that are outgoing, creative, spontaneous, open minded, and optimistic. After discussing the various types of personalities and character traits, I learned it is important to have a mixture of all different types of personality groups. In life, we need different types of people to balance each others strengths and weaknesses out so we can work collectively to be successful. If the world only consisted of like-minded people, we would not be able to advance as a society or grow as human beings. The true colors test really emphasizes the importance of diversity in a collaborative setting.